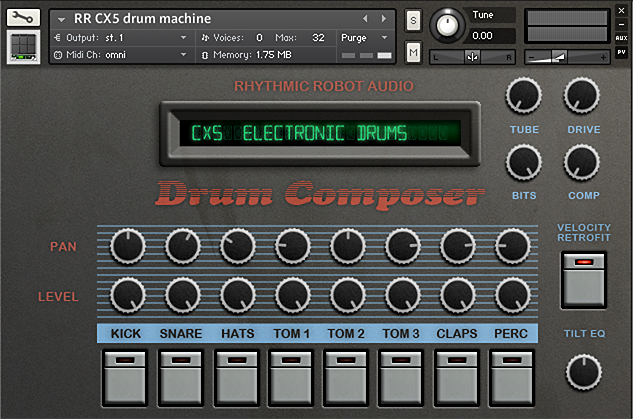 Digital drums from 1985, with added attitude! 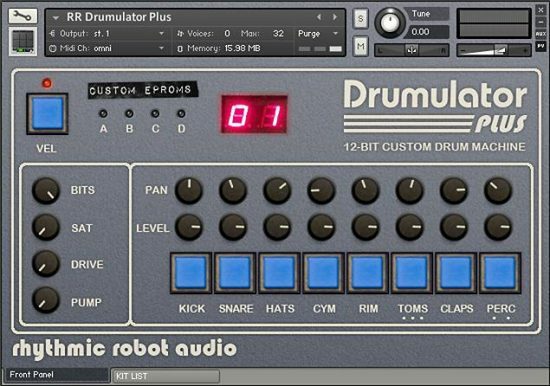 Released back in 1985 and intended for use either as a standalone drum machine or as a “brain” for a set of Wersi drum pads – they really were hoping to cannibalise some SDS sales! – the CX5 is surprisingly sophisticated in terms of programming and pattern creation and has a very useful spread of samples: both classic kit pieces and a couple of notable surprises, in the form of the ‘Hey!’ and ‘Aha’ hits (take a listen to the demo…). The early digital sound lends a lot of weight to the kick and tom pieces, while hi hats and cymbals have a nice fizz and crackle to them. There are snare rolls, some pretty awesome claps, and a handful of neat percussion pieces thrown in too, which are great for adding a Latin element to your loops. 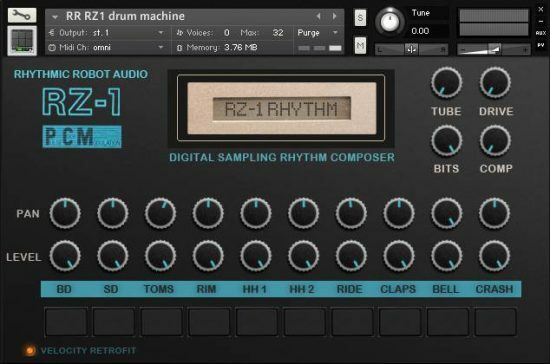 I love the sound of this drum machine! I especially like the kick, tambourine and the snare rolls/flams. As someone else put it: “these drums are totally rude!!”. But….. I have some “issues” with the kontakt instrument itself. First of all, the instrument has some sort of (random?) round robin selection for the samples which doesn’t make a whole lot of sense for a digital drum machine IMO. This isn’t a problem in itself, but I noticed the volume was pretty inconsistent. It looks like the instrument randomizes the velocity to get the round robin effect, but velocity is still set to modulate the volume. So the volume is randomized for each hit?!?!? My second issue is with the snare. 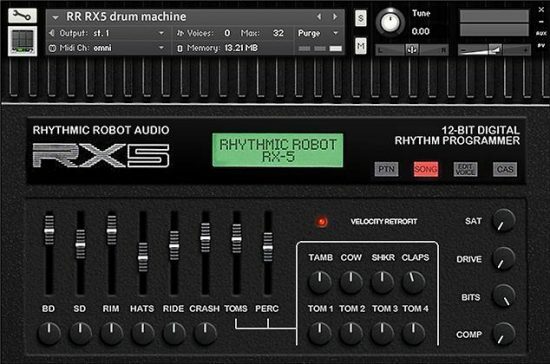 There are 6 randomly selected snare samples, but one of these sounds way off! 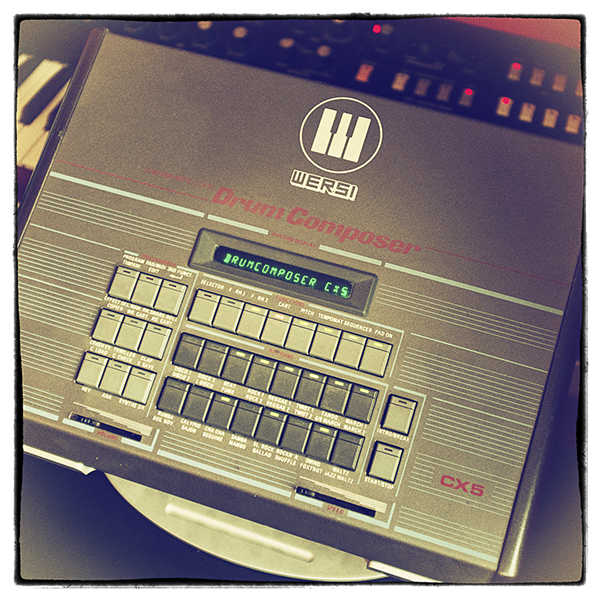 The sample “Wersi Snare 09.ncw” seems to contain a bit of the kick sound. I think Mongo broke something during quality control!?! Here’s the thing. I think I have the samples from this drum machine somewhere on my giant samples drive. The trick is in using them in a musical and intuitive way. I’ve realized that, when it comes to this, RR are the best at making the quirky machines of the past not only accessible and easy to use, but BETTER than they were. Anyway, these drums sound great! Whoa, these drums are totally rude!! Most excellent instrument, dudes! !